By Thalif Deen |UNITED NATIONS - Marco Napoli, who passed away on November 6, began his early professional career as a New York-based correspondent for several international news organizations, including the Italian Il Progresso News, back in the 1960s, long before he was Regional Director, IPS North America. As part of his beat, he had to cover some of the shenanigans of reputed Mafia families in New York, relying largely on anonymous sources in New York City Police Department’s (NYPD) Organized Crime Control Bureau. 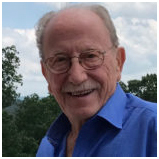 Marco once recounted one of his more memorable experiences interviewing a legendary Mafia boss in the backseat of a black limousine in New York’s famed Central Park. And so began some of Marco’s adventurous days reporting from the asphalt jungle—a crime-infested 1960s New York City where a bank robber could get mugged fleeing to his get-a-way car. At IPS, Marco led a more restrained life as an administrator and financial controller— graduating from shoe-leather reporting to shoe-leather fund-raising, as he pounded the sidewalks of the UN neighborhood, personally following up on project proposals as he shuttled from one UN agency to another – UNICEF, UNFPA, UNDP, all in the shadow of the UN secretariat where he had a third floor office. As a longtime Regional Director, Marco was very protective of IPS staffers. When the head of UN media accreditation complained that he does not see any IPS reporters at the daily UN news briefings to justify press credentials, Marco angrily shot back: “Are you now spying on my staff”? When I first walked into the IPS office in the late 1970s, IPS had a full complement of four staffers—all women, two Americans, one Indian and one French Moroccan. Talk of gender parity at the UN? I found myself a minority of one. We all worked under the leadership of Marco who not only believed in perseverance and hard work but also punctuality. While Marco’s primary task was the economic survival of IPS, he scrupulously kept away from editorial assignments which were coordinated by an editor-in-chief, first in Rome, later in Amsterdam. Over the years, Marco successfully extended the IPS empire, to include Canada and the Caribbean. 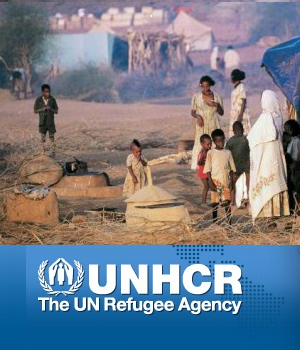 With strong support from Director-General Roberto Savio, Marco was an aggressive fund raiser in the UN system, and sustained strong personal links to all of the UN agencies based in New York. 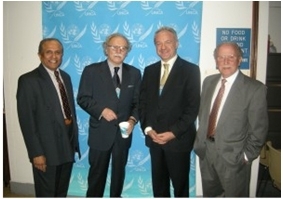 (Photo from left to right) Thalif Deen, IPS UN Bureau Chief and Regional Director, UNCA’s Giampaolo Pioli, Former IPS DG Mario Lubetkin and Marco Napoli, former IPS Regional Director for North America. 19 May, 2009. Marco’s crowning glory was the annual IPS International Achievement Award ceremony held at the UN delegate’s dining room– a high profile event attended by ambassadors, senior UN officials, representatives of civil society and the press corps. The recipients of the awards, who added a tinge of political glamour, included two UN secretaries-general — Boutros Boutros-Ghali and Kofi Annan and three heads of state: Jean-Bertrand Aristide of Haiti, Martti Ahtisaari of Finland (also a Nobel laureate in 2000) and President Luiz Inacio Lula da Silva of Brazil. Marco, almost singlehandedly, organized and coordinated the annual events, which in the hands of a novice, would have been a logistical nightmare. As Marco would recollect, there was only one IPS correspondent, Deodoro Roca, when he joined the UN Bureau in January 1979. And then began a wave of correspondents and stringers, including Jim Lobe, Mario Dujisin, Joan Draper, Karl Meier, Madeleine Eisner, Asma bin Hamida, Maria Blaque-Belair, Shalini Dewan, Farhan Haque, Jaya Dayal, Alejandro Kirk and Yvette Collymore. “We shared the office with Japan’s Kyodo news agency and the New York Times (which used part of our office as its archives),” said Marco, who was the political live wire of the Bureau. Marco, who retired on 31 December 1999, said the UN Bureau had very strong working relationships with successive Secretaries-General, including Kurt Waldheim (Austria), Javier Perez de Cuellar (Peru), Boutros Boutros-Ghali (Egypt) and Kofi Annan (Ghana). Under Marco, IPS had one of the most spacious press offices on the third floor of the Secretariat building, which he jealously safeguarded as he presided over several successive IPS UN, Bureau Chiefs, including Claude Robinson (Jamaica), Appan Menon (India) and Rajiv Tiwari (India).